The responses below are from Oscar-nominated, BAFTA-winning producer Paul Webster, best known for producing ATONEMENT, LOCKE, EASTERN PROMISES, ANNA KARENINA, and the upcoming film, PAN. 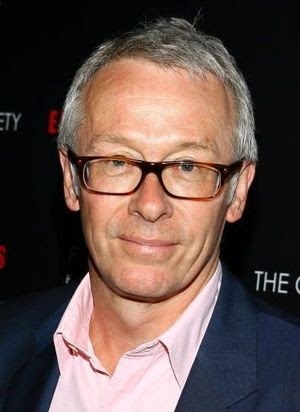 Webster was the Head of Production for Miramax Films and then joined Channel 4 to create Film Four. After Film Four, Webster was Head of Film for Kudos Pictures, and is currently one of the heads of Shoebox Films. If, as a young person wanting to become a filmmaker, you believe that film is an art form, then yes, its vital that you study film in its many manifestations. An education in film is easy to obtain; just start watching. Studio films are an important part of a very big jigsaw, but anyone starting out should be aiming to be influenced and inspired by the best, and there are many films made outside of the English language which are essential viewing. See experimental films, short films, documentaries too. Be bold and adventurous. Open your mind and prepare to steal from the best! How did viewing indies, films from around the world, and classics help/influence you when producing ATONEMENT, PAN, LOCKE, and the other films you've produced? My real introduction to world and classic cinema came with my first job in film working as a despatch clerk for an arthouse distributor in West London in the 70's. It was the time of the New German Cinema: Wenders, Herzog, and Fassbinder. Amongst others, we also distributed classic Japanese films, Ozu and Mizoguchi, silent films, DW Griffith, Murnau and Pabst, comedies by Chaplin, Keaton, Harold Lloyd, and on and on. Augmented by going to classic double bills at the Electric repertory cinema in Portobello Road, these films were my university. Those years taught me to love film as a great art form, and eventually, when I became a producer, I learned to never make anything unless I really believed in the director's vision and the power of the story they wanted to tell. Producing James Gray's first two films, LITTLE ODESSA and THE YARDS further cemented my view that the producer's role is to recognise the talent and then create the space for it to blossom. When I got together with Joe Wright in 2004, I had experienced filmmaking as a producer and a financier, as well as a distributor, and I had just financed and Executive Produced a great film, THE MOTORCYCLE DIARIES. It was a an enormous pleasure seeing Joe's talent explode and to learn from him as I have from all the fine directors and writers I have worked with over the years. It's not just about the movies, it's painting, photography, costume design, theatre, and now the extraordinary possibilities granted to us by the digital age – great directors like Joe draw upon influences and inspirations from across the spectrum of the arts. It's been a privilege to be part of the process. What's one British indie (doc or narrative), one non-English-language film (doc or narrative), and one classic (define that one any way you wish) that you would recommend that film-lovers and/or young/aspiring filmmakers see? British Indie: James Marsh's MAN ON WIRE - one of the best films of the last decade.